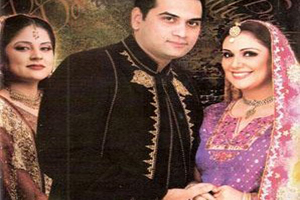 Doraha is a fourteen episode Pakistani TV drama telecast by the Geo channel. Doraha means two roads/decisions leading in different directions. The story by Umera Ahmed explores a love triangle between a guy and two girls, the girls both coming from very different social classes and the struggle of individual desires against duty to family. The subject matter may not be unique but the sensitive, character driven storytelling and Mehreen Jabbar’s steller direction and editing take it too a whole new level. The actors have also done fantastic jobs. Unfortunately, Doraha is not the flawless production it could have been. Despite the momentum created by the first many episodes, the last few falls prey to the usual brain dead flashback filler montages Pakistani dramas seem to not be able to do without and this brings down an otherwise excellent serial. Furthermore there were many loose ends left untied: who does Omar’s sister get married to? Why don’t we see much of Omar’s mother regretting the role she’s played in the whole mess? We want to see her eat some major crow. We need to see her eat some major crow and in omitting this catharsis, Doraha makes a major blunder. Next, considering how headstrong and likeable Omar is at the beginning, his wimpiness in the latter episodes is perplexing as well as cringe worthy, especially the callous way he’s treats his wife and daughter. And that brings me to the biggest conundrum of all: what exactly makes Omar so attractive to these two women. In Shehla’s case perhaps obsession is the more apt adjective and all too likely given that she comes from a background and culture where one’s first love is supposed to be one’s true love till the day she dies. In Sara’s case, even though she belongs to the same culture, her background and innate intelligence ultimately render her final decision a bit specious. It is interesting though that no matter their class backgrounds both girls are expected to get married and are blessed with mothers who hound them to this effect. Like I always say, marriage, not Islam, is Pakistan’s religion, with mother being the Generals sending their daughters to the front lines often ill prepared and no matter what the cost. Doraha is definitely worth watching despite the glitches in the last few episodes. In spite of them it is still heads and shoulders above most other Pakistani dramas.